Today, U.S. Secretary of Commerce Penny Pritzker discussed the Administration’s efforts to “Build America” at the Infrastructure Investment Summit hosted by the U.S. Departments of Treasury and Transportation. The Summit brought together senior Administration officials and more than 100 leaders from industry, finance, philanthropy, and local and state governments to highlight the urgent need to invest in our country’s infrastructure, build public-private partnerships, and develop strategies for increasing investment in sectors like transportation, water, telecommunications, and energy. During her address, Secretary Pritzker described the central role the Department of Commerce is playing in expanding infrastructure investments and facilitating connections between government, investors, and local leaders. 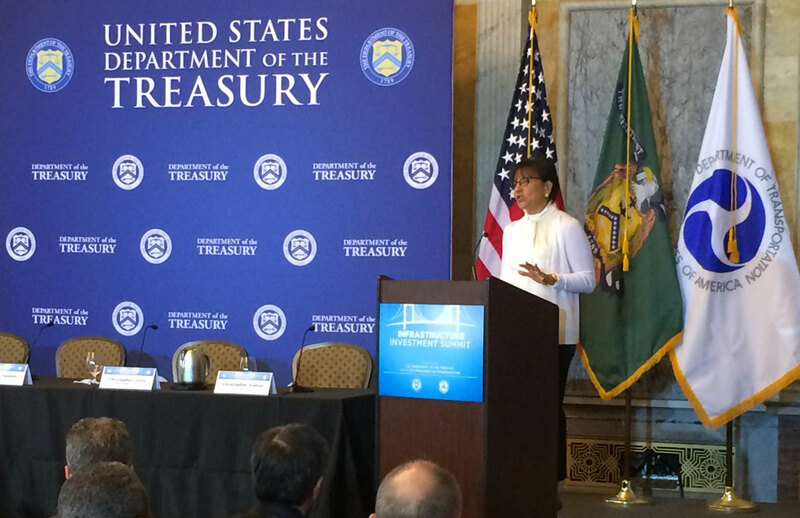 The Secretary outlined several of the ways the Department is taking the lead. First is through SelectUSA, the first-ever government-wide program designed to attract and retain investment in the United States, which works to connect current and potential investors with local communities interested in attracting infrastructure investment. Second is the work of the National Telecommunications and Information Administration (NTIA), which has strengthened our digital infrastructure though more than $4 billion in grants since 2009 to increase broadband access to underserved communities in all 50 states and the District of Columbia.